This iconic Tea Set was designed in the 1880s by Frederick Slater to portray the essence of Ireland. The simplicity of the pattern is based on the weave used in wickerwork baskets once a common feature of both town and country. The design also cleverly uses the stems of the shamrocks to shapes such features as the handles and details of the design. This Tea Set is a special buy, and can be used as an heirloom for many years to come. This is a lovely set and it arrived without any problems. 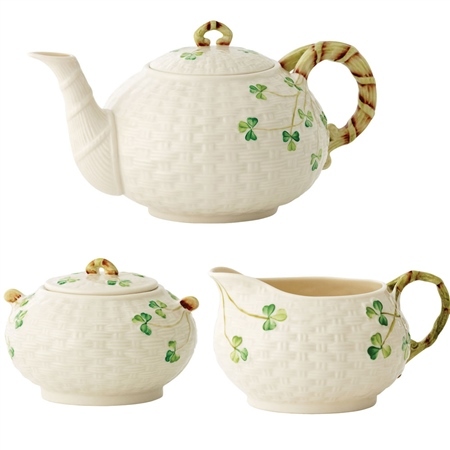 Is this teaset in ivory/green?